Thomas Zika (1963), born in Haan, Germany and currently living and working in Germany, studied photography at the Fachhochschule Dortmund. After that, he graduated from the communication design University of Wuppertal, department communication design. After this he continued his education at the University of Applied Arts in Vienna. Zika started working as a photographer in 1992, and still finds a way to grow and produce atypical artworks. 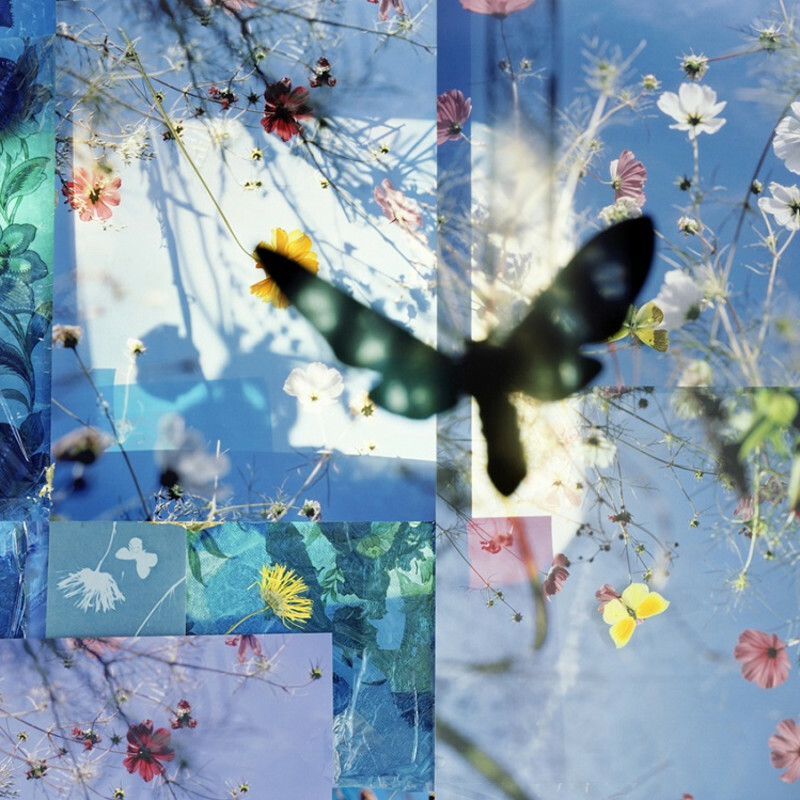 In his last two series, the artist has used a unique method to modify his photographs. He investigates the reaction of spores, removed from flowers or mushrooms, on his pictures. This is an open ending working method. Zika explained, “Before taking any photographs I’ve been pretreating half of my analog 4×5 inch film material with mushrooms, which pollute out their spores latently on the film sheets, creating beautiful, but chaotic lamella circles. For this process sometimes several months have passed and the development of the artefacts on the film sheets also is accidentally and chaotic. In the end I photograph the assemblages by accepting my own embedded obstructions resulting in a trompe l’oeuil-effect of the large formated and colorful prints”. Zika’s work is acquired by and exhibited in several public collections, including the Musée de la Photographie in Vevey, Switzerland.